Sky is reflected in the lake around dawn at one of America’s largest romantic gardens. I’m at Magnolia Plantation with a group of garden writers: one of the best surviving examples of the romantic style of gardening. The idea is that gardeners should co-operate with nature, rather than try to control it. It’s a delicate balance. 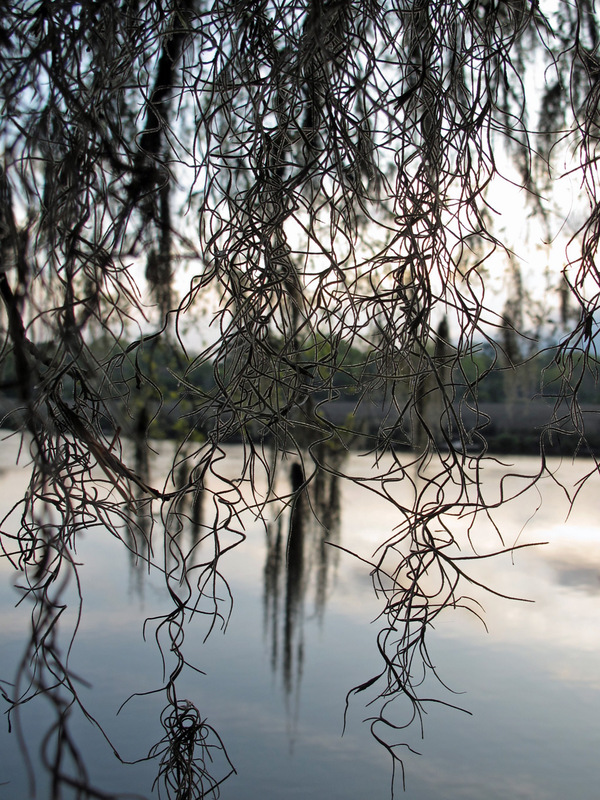 The Spanish moss tumbling from the trees catches my eye – a Gothic plant if there ever was one. Ann Radcliffe would have approved. For more interpretations of this week’s theme, visit the Daily Post’s photo challenge. Its a Beautiful Photo which could tell a story. The Lowcountry is one of the world’s most beautiful landscapes: haunting, haunted, tragic. I am so happy you are visiting! I look forward to many more of your beautiful photographs from one of my favorite parts of the world. Don’t miss Middleton Place. I loved the story about how the garden was created to make the owner’s bride feel at home and help her recover from illness. She got better but was still homesick! We did manage to see Middleton Place, with its water buffaloes and alligators, though it was only a quick visit. It’s not technically a moss at all – my sweetheart tells me it’s a bromeliad and related to pineapples. That’s even weirder if you ask me! I agree……your sweetheart sounds very well informed…a useful person to know, that’s for sure! That second one is really eye-catching and special. Wonderful photo. There is something so mysterious about the Spanish moss. Beautiful shot. I love that area. 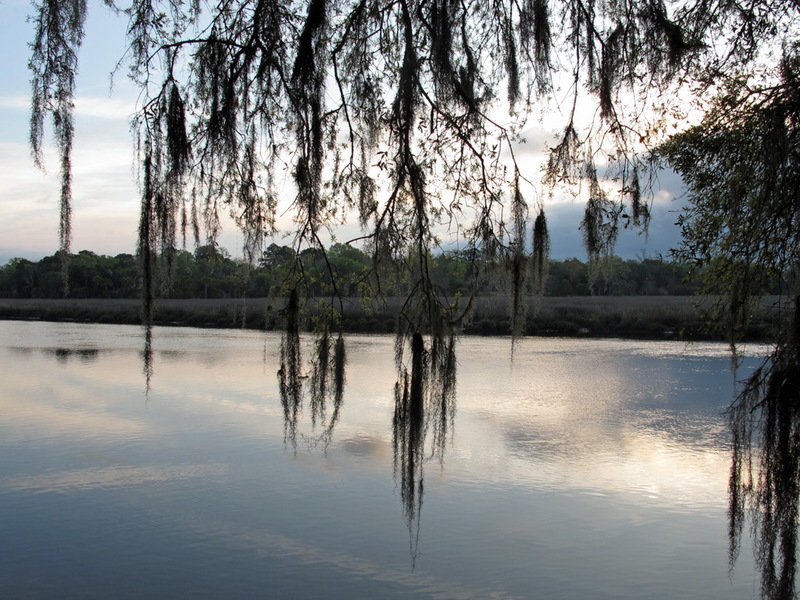 I want to get down there to photograph Spanish moss on cypresses. I know that it’s been done before but I still want to do for my own tree and forest photography project. You’ll find the trees dripping with it!